Modern society has been dramatically globalized. The movements of goods, capital, information, and people across borders are all becoming more active in recent years. These global exchanges are carried out on the stages of politics, economy, and culture, and in various fields. In the times when such a change is in a state of flux, conventional concepts of value will no longer pass effectively. Now is the time in which we should foster a sense of respect for different values, require new ideas, and inspire new actions for the solution to our new problems. Now is the time to encourage the strength to not be influenced by some small changes, and to develop the flexibility to deal appropriately with a new demanding change. Now is the time for us to place a high value on succeeding in swimming in harmony with the oncoming tide of the world ocean. 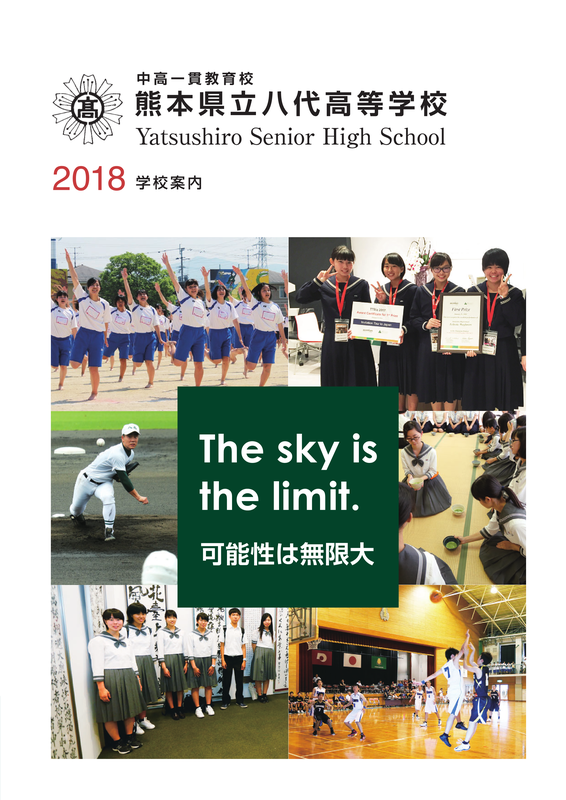 Yatsushiro High School plans to foster the growth of talented persons to thrive in the global society by empowering them with the skills to challenge earth’s problems in a positive way. Yatsushiro High School aims to create new-generation leaders, who can contribute to Japan and the world as well as our hometown. Your possibility is infinite. Please imagine yourself: remove the limits you have set up for yourself, leave the comfortable nest, and grow up in a free and easy-going atmosphere. 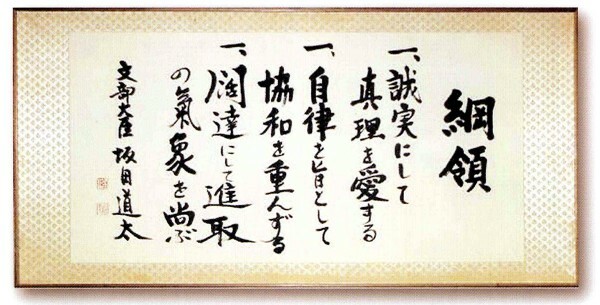 I hope you enjoy school life in Yatsushiro High School with a big dream and great ambition foremost in your mind. Studying is a lot of fun. Enjoyable lessons will stimulate your curiosity. The learning in our school is sure to satisfy your inquisitive desires. I hope you will realize how interesting studying is, not boring, and you will acquire rich intelligence. Let’s enjoy club activities and school events. We have many club activities both in sports and arts. You can acquire tough physical and spiritual strength, and a sensitivity for art and culture. In addition, the school events such as an athletic meet and a school festival are carried out mainly by students themselves. I hope you will participate in the activities positively, and spend a fruitful time here. Yatsushiro J and S High School support all of the students. We provide a substantial environment where you can enjoy a significant school life. 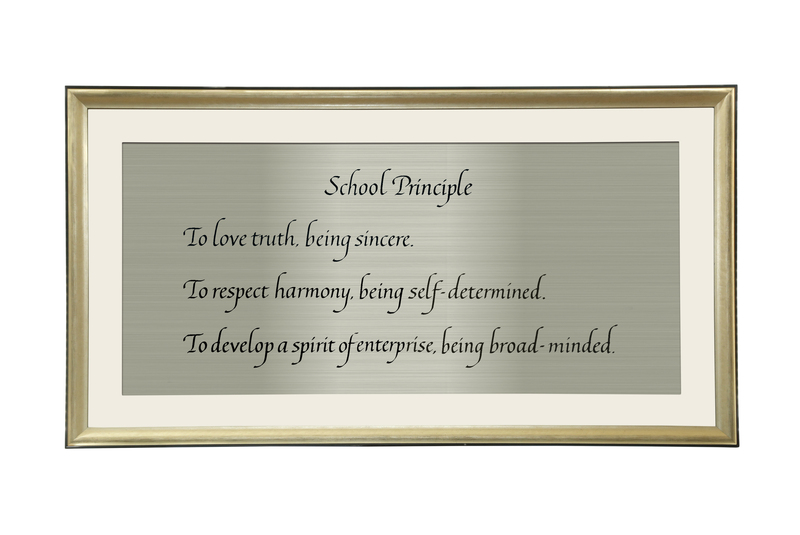 I hope you will apply to our school and join us. I am sure that you will become a leader and find a way of supporting our global society.